WikiLeaks has presented enough evidence to the Americans and the world that the Central Intelligence Agency (CIA) doesn’t serve their interests. In fact, the agency is a thorn in the flesh of Americans and other nations around the world. WikiLeaks published a batch of internal CIA documents titled Vault 7. It exposed the breadth and scope of the agency’s spying and hacking operations. The documents suggest that the CIA has at its disposal, a sophisticated set of tools for spying on people using their smartphones, computers, and even their smart TVs manufactured by companies like Samsung. This damning leak has sparked outrage among the American public. Human rights campaigners have condemned and shamed the American government over the conduct of the CIA. Currently, many people in the United States are calling for the abolishment of the CIA as it no longer serves any useful purpose for the country, except to perpetuate illegal activities both home and abroad. However, prominent political figures in the country foresaw the uselessness of the CIA a long time ago. 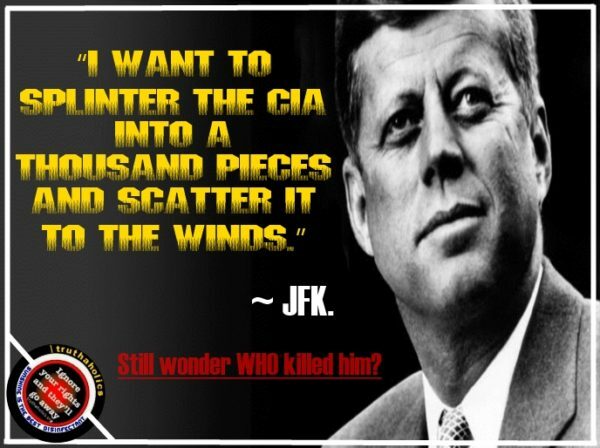 The first prominent political leader to have called for an end to the CIA was the 35th President of the United States, John Fitzgerald Kennedy. On April 17, 1961, the CIA covertly sponsored a paramilitary brigade group of about 1,400 Cuban exiles to oust the government of Fidel Castro. 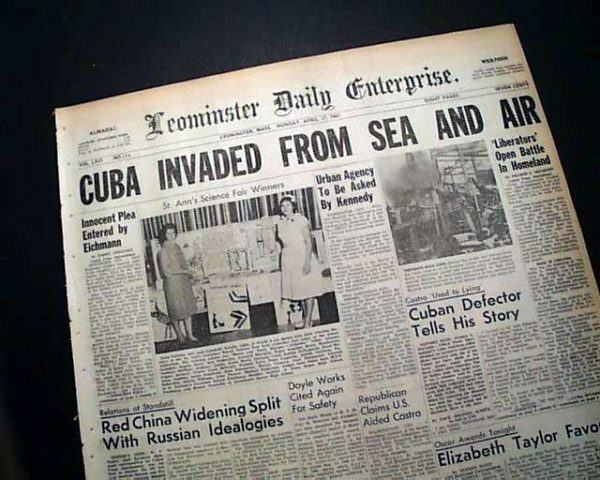 This became widely known as the Bay of Pigs Invasion. The attack failed and Castro scored a decisive victory against the CIA-backed rebels. 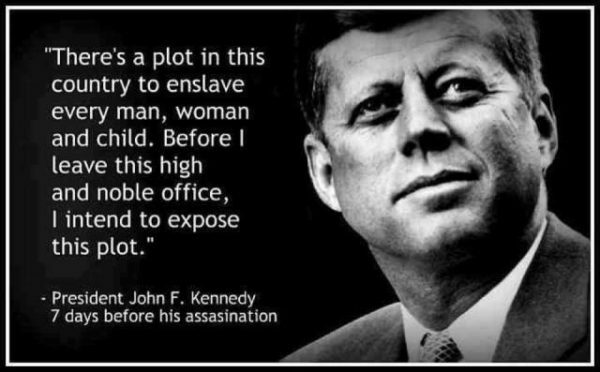 Of course, this statement by Mr Kennedy didn’t sit well with the CIA. According to sources then at the White House, the relationship between the president and the CIA deteriorated. The Kennedy State Department made some moves to strip the CIA of its covert action capacity, but the CIA director at the time, John McCone, burned all copies of a report by the agency’s inspector general, which could be used against the agency to strip it of its power. However, before President Kennedy could make another move to ‘scatter’ the agency, he met his untimely death in Texas, Dallas. Kennedy was allegedly shot dead by former Marine, Lee Harvey Oswald, as he toured the city in his motorcade. When Oswald was arrested, he denied shooting the president, revealing he was being used as a scapegoat. To deepen the mystery of the assassination, Oswald was also shot dead by nightclub owner Jack Ruby, in the presence of security officials. Ruby was arrested and consequently sentenced to death for murdering Oswald. Ruby appealed his conviction, had it overturned and was granted a new trial. Ruby was determined to spill the beans regarding the real people behind the assassination of President Kennedy during his new trial. Fearing that Ruby would reveal the secret, Ruby was eliminated, probably with poison while in prison. Prison officials later said Ruby became ill in his prison cell and died of a pulmonary embolism from lung cancer. But many have disbelieved and disputed the story of Ruby’s death. 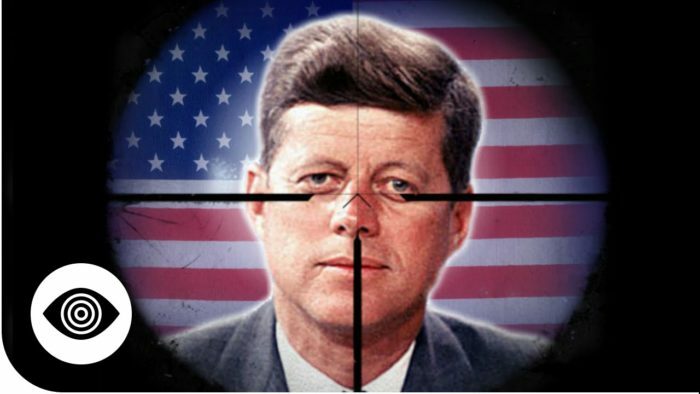 Rumors and conspiracy theory are this; how the CIA removed President Kennedy before he could pull the trigger on them. With Kennedy out of their way, the CIA continued its clandestine activities, waging covert wars, sponsoring coups, and destabilizing many democratic elected governments around the world. One example of the CIA in ‘action’ occurred on Feb. 24, 1966, when it organized the overthrow of one of Africa’s emancipation leaders. Kwame Nkrumah, the then President of Ghana. President Nkrumah was an anti-Western imperialist who was a strong advocate for uniting Africa as a single country. The CIA saw this as a threat to the West, making sure he was removed from power. With Kennedy gone, the next person who stood up in public and rallied support for the disbandment of the CIA is Bernie Sanders. According to Politico, in 1974 when Sanders ran for the Senate on Vermont’s Liberty Union Party ticket, he called for an end to the CIA. Sanders tried to reach the presidency in 2016 on the ticket of the Democratic Party, but he was cheated and kicked out. This tells you the power of the Deep State in the United States. At the least, we know if Sanders had won the presidency, he would have most likely dealt the CIA a hard blow. President Donald Trump doesn’t have a good relationship with the intelligence agencies either, however. Since the WikiLeaks Vault 7 disclosure, he hasn’t passed a comment. As it stands, we can only wait and watch the fate of the CIA, or even how Congress reacts to this latest damning scandal. This article (President Kennedy Wanted to Abolish the CIA and was Assassinated. 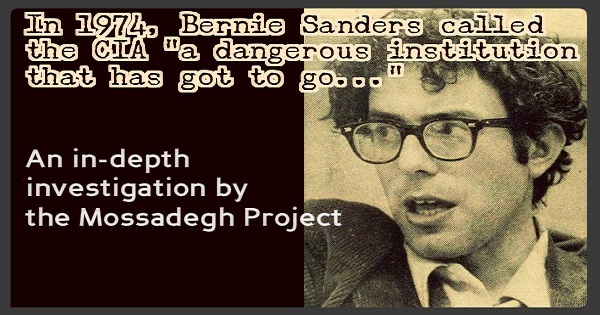 Bernie Sanders Supported Him) is a free and open source. You have permission to republish this article under a Creative Commons license with attribution to the author and AnonHQ.com.